JMT performed field inspection, concrete and steel testing, and evaluation for a historic bridge. 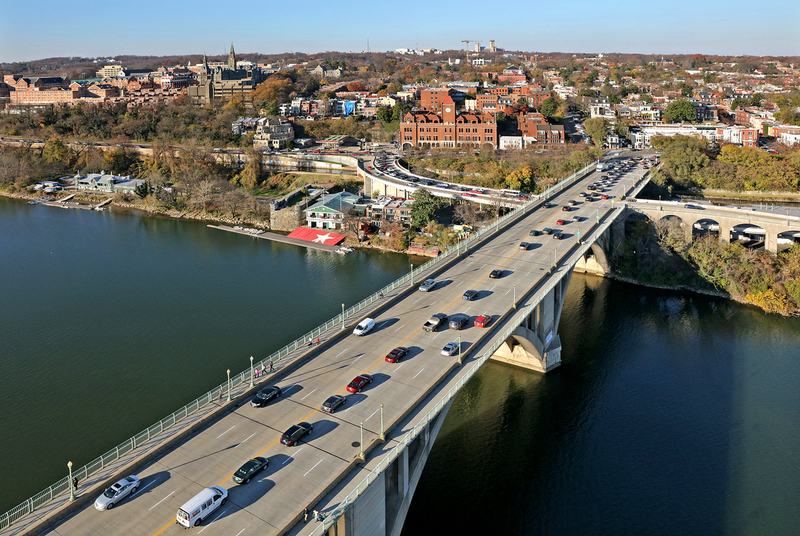 JMT performed the hands-on field inspection, concrete and steel testing and evaluation for the historic Francis Scott Key Bridge, which was built in 1929. 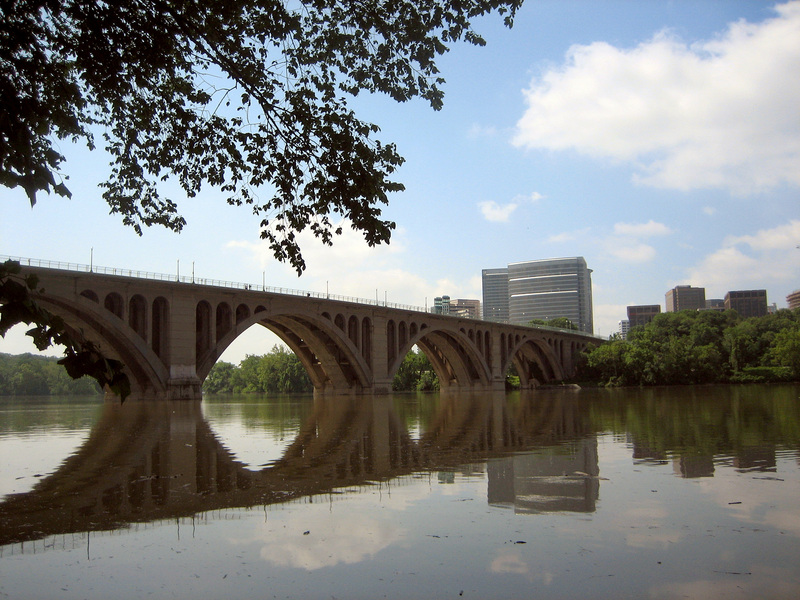 This 1,781-foot-long reinforced concrete, open-spandrel arch bridge consists of eight spans over the George Washington Parkway, Potomac River, Whitehurst Freeway, and C&O Canal. The bridge not only served as a major commuter route into Washington, DC, but it also was listed on the National Register of Historic Place, which required coordination with the National Park Service since it spanned the C&O Canal and George Washington Parkway. 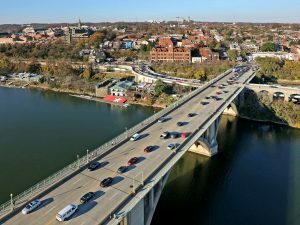 The inspection also involved several utilities, including water and gas lines on the bridge, one of which was under the jurisdiction of the US Army Corps of Engineers. Since the bridge was over navigable waters, coordination was also required with the US Coast Guard, both during inspection as well as construction. The inspection required free climbing the arch structure as well as using specialized access equipment including articulating snoopers and boats with bucket lifts. 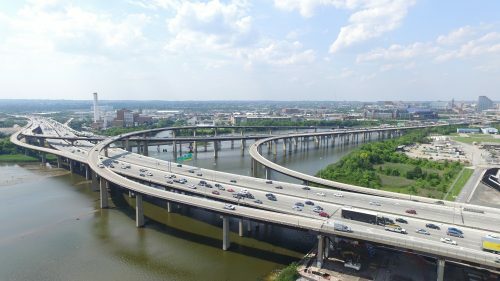 JMT worked with a bridge access company to develop a new and innovative piece of equipment to access and inspect post-tension rods that had failed and were jutting out of the deck. This equipment operated from the sidewalk, eliminating any lane closures during this phase of the work. 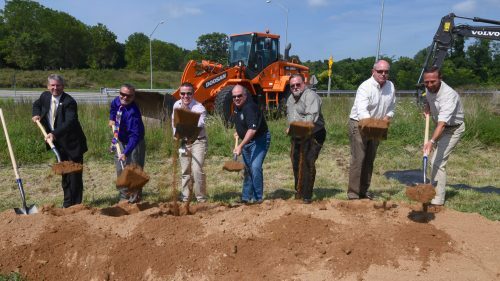 Whenever possible, equipment and inspection methods were selected to minimize maintenance of traffic issues. Problem areas included a failing post-tensioned deck slab that was installed in 1985 and significant concrete deterioration to the portions of the concrete structure below the deck slab. Testing was performed on concrete samples to determine chloride content and compressive strength. Concrete cores were also taken for petrographic analysis to determine evidence of alkali silica reactivity (ASR), carbonation and delayed ettringite formation (DEF). Echo impulse, a non-destructive test method, was employed for locating voided post-tensioned ducts within the deck slab. Samples of the post-tensioned bars were retrieved for testing and determination of failure mode. JMT helped restore the deteriorated portions of the structure, improving its structural integrity while maintaining those architectural features that contribute to its historical significance. 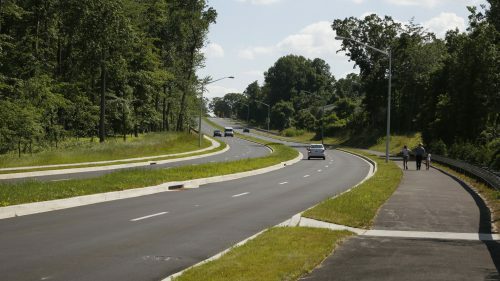 A repair design for a 30 year additional life span was requested by the District Department of Transportation. Preliminary repair plans were prepared, which include conventional concrete patching repairs as well as strengthening with carbon fiber reinforced polymer reinforcing bars and sheeting materials.